Scientific evidence is accumulating that zinc acetate is the preferred zinc compound to provide enhanced seasonal immune support. Zinc acetate releases 100% of its zinc as ionic zinc—positively charged zinc ions. 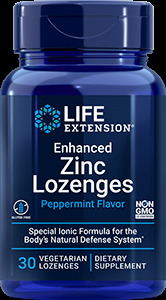 Zinc acetate lozenges have been shown to strongly support immune function.